Description This 2012 Toyota Sequoia Limited will sell fast -Backup Camera -Leather -Bluetooth -Auto Climate Control -Power Lift Gate -3rd Row Seating Oil Changed, New Wiper Blades, Multi-Point Inspected, and State Inspection Completed -Aux. Audio Input ABS Brakes -Power Seat -Automatic Headlights -Heated Front Seats -AM/FM Radio -Parking Sensors Based on the excellent condition of this vehicle, along with the options and color, this Toyota Sequoia is sure to sell fast. -Multi-Zone Air Conditioning - Garage Door Opener Multi-Point Inspection Oil Changed and many other amenities that are sure to please. 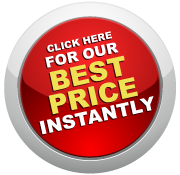 Our aim is to provide our customers with the best prices and service at all times. Stop by our dealership or give us a call for more information.